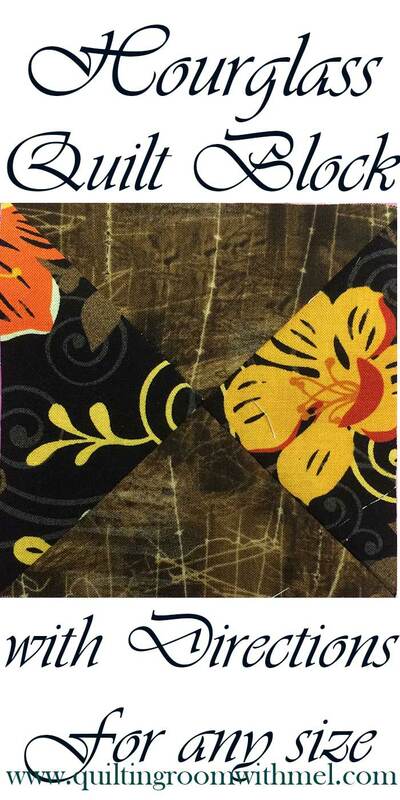 The hourglass or quarter square quilt block is another foundation quilt block. You find them not only on their own but also in many other quilt blocks. Being able to easily make them and in any size you need can really expand your arsenal in the quilting world. When you master this method you won't have to worry about those pesky points in the middle they will line up without any problems. There are no bias edges to deal with here and no triangles to cut. The hourglass quilt block is all based on sewing squares. I've done a tutorial on making the quarter square with half square quilt block with lots of talking but I haven't done the hourglass block which is sometimes called a quarter square block. I have shied away from anything that involved lots of points that needed to line up. I don't like ripping out seams and points in the middle of the block seem to stand out. After doing the first tutorial I realized I could do something similar with the hourglass quilt block. So it's pretty easy to do right? The secret is nesting the seams together so that your points match when you cut them apart. But what if you need a different size block? The one in the video finished at 5". You may need a bigger or smaller size so how do you do that? Well, just like the magic 8 half square triangles we need to do some math. I really got lucky sewing this block together. I forgot to add in trimming allowance when I made it. You don't want to do that. You want to be able to save a block if you goof somewhere along the way. This is why I always test my own directions because when I wrote it out I missed a step and I want to be the one who goofs up and not you guys. I'm going to give you two methods for making the hourglass quilt block depending on how many you need to make. If you only need a few blocks or if you will be doing a lot of variety use this method, it's the one demonstrated in the video. You need to know what the block needs to finish at and add 1 1/2". That is the size of squares you need to cut. If you need a lot of blocks the same color scheme you can use the magic 8 method to make your half square triangles. To figure out how big your half square triangles need to be your need to add 1/2" to your finished hourglass block. Use that measurement to figure how big you need to cut your squares following the method in the half square triangle tutorial. 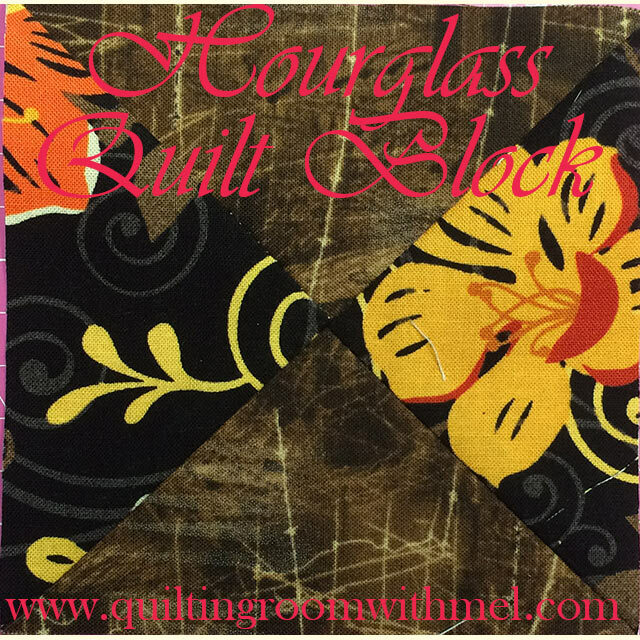 Now you can knock out any traditional block that needs hourglass units or be creative and make your own quilt up.